As is true with solar projects, the range of environments in which energy storage is being applied has grown and diversified significantly. This diversification in deployments means a deeper understanding of the temperature-related performance and safety issues tied to battery selection and storage system design. For solar installers, understanding which battery chemistries and energy storage solutions offer the most environmental flexibility in terms of project suitability is an important advantage in the ability to successfully deploy more storage in more locations in the United States and around the world. Driven by both typical indoor space constraints (in both residential and commercial properties) as well as the frequent desire to co-locate storage and solar, more customers are seeking outdoor storage solutions. 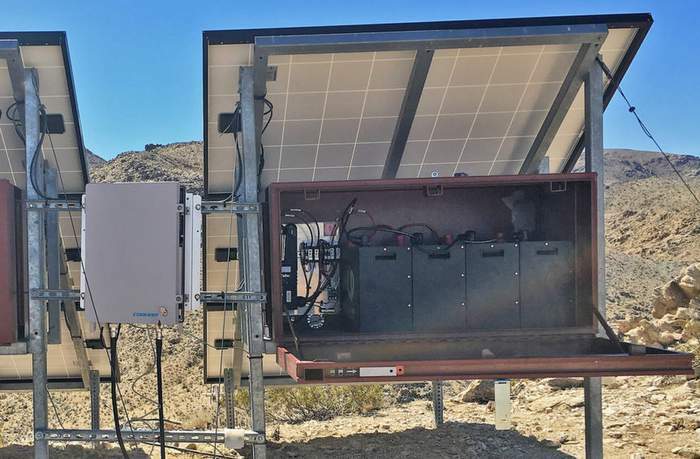 In addition, the popularity of solar+storage and microgrid solutions is growing exponentially in industries such as agriculture, the military, medical care and disaster-related resiliency and recovery. Within these sectors, whether it be farms in Central California, military bases in the Middle East, or hurricane zones in the Caribbean and Florida, outdoor installations in hot climates are the rule, not the exception. Lead acid batteries often have a fairly narrow temperature window and cannot function or offer long life cycles in cold or hot weather. For example, in equatorial climates lead acid batteries require replacement approximately every five years. These batteries also tend to have a storage capacity rated at 75℉ and the rated usable capacity can vary greatly when operating beyond this ideal temperature window. Lithium-ion batteries that contain cobalt — including NMC, LMO, NCA and LCO — require that the ambient temperature surrounding the batteries fall within a narrow window to protect the battery’s performance and warranty, with an upper limit of ~75℉. Maintaining this temperature requires expensive thermal monitoring and cooling equipment. Not only do the ancillary equipment costs negatively impact installation economics, these systems also introduce points of failure, including the risk of thermal runaway that can lead to overheating and fires. Lithium-iron phosphate (also known as lithium ferrous phosphate or LFP) batteries generate very little heat during cycling, have no risk of thermal runaway and therefore do not require ventilation or cooling. In fact, some LFP batteries are warrantied to operate safely in environments up to 140°F without any ancillary temperature monitoring or maintenance equipment. These batteries often do not see efficiency or rating fluctuations when operating at low or high temperatures. When it comes to outdoor battery banks, it is not only essential that the batteries are able to perform safely in a wide temperature range, but also that the containers and cabinets are able to withstand a wide range of environments. In the United States, this means looking for solutions that offer an outdoor enclosure with a rating of NEMA 3R or higher.